Faceoff specialist Jeremy Thompson and back-up goaltender Tyler Carlson have each reached new one-year contracts with the Saskatchewan Rush. Thompson heads into his eighth season in the National Lacrosse League, coming off a 2018 season that saw him pick up 164 loose balls to put him over the 1,000 mark for his career. He hails from the famed Thompson family in lacrosse, with his three brothers on the Georgia Swarm roster. 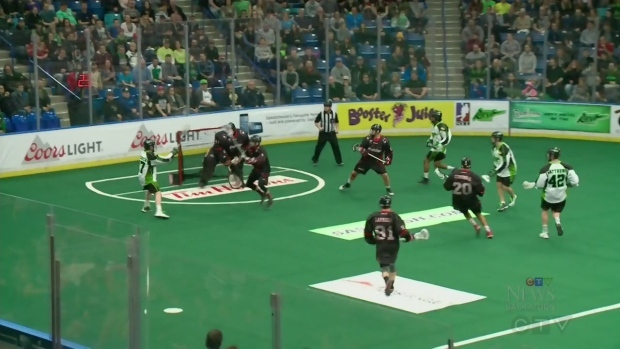 In August, the Rush announced they were using the franchise tag on Thompson. Carlson is also entering his eighth pro season and his fourth with the Rush. The Brampton, Ont. product holds a 15-18 record, 11.67 goals against average and .746 save percentage. Carlson was acquired in a trade with Minnesota in 2014 that also saw a first overall pick come to the Rush that they used to select star forward Ben McIntosh.